The Pervasive Backup Agent is a tool designed to help streamline the backup process by putting all open files into Continuous Operations Mode. For more information about this process, please see our main web site's Backup Agent page. 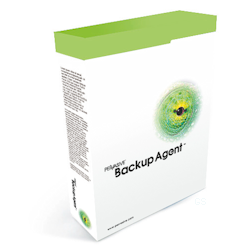 Backup Agent v1.x is designed for use with older versions of the Pervasive Server Engines. The licenses you purchase here are valid for either v1.x release -- just use it with the appropriate installation image for your database engine. The license is valid per server, regardless of your engine user count. If you are running PSQLv12, please see our Backup Agent 12 page.